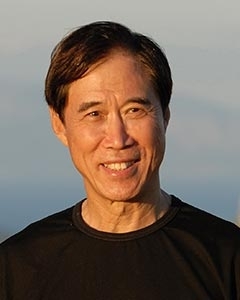 Master Li is one of the true living qigong masters of our time, and the driving force behind bringing Sheng Zhen Gong, the Qigong of Unconditional Love, into the world. His life is a testament to the value of practicing this system of qigong. Master Li travels internationally to train and certify Sheng Zhen Gong teachers, and to practice or simply spend time with his students. In doing so, he shares his passion, wisdom, humor and love, so that others can also experience the profound joy that permeates his entire being. Master Li conducts workshops and teacher trainings in countries including Canada, the United States, France, Norway, Germany, Austria, Croatia, Latvia, Israel, Australia, Japan, and the Philippines, among others. When he’s not traveling, he is based in Santa Barbara, California, where he teaches Sheng Zhen Gong workshops. Master Li Junfeng – Earth is Alive ~ In Pain and Needs Our Help. Master Li Junfeng – Big Heart, Big Picture, One Family. Master Li Junfeng – Return To Oneness ~ One Family. Master Li Junfeng – Awakening the Soul. Master Li Junfeng – Merge With the Universe. Master Li Junfeng – Recipe For Love and Joy. Master Li Junfeng- Talking About Death. Master Li Junfeng ~ “Awakening The Soul” Sheng Zhen Qigong Practice. Master Li Junfeng – Three Functions of Sheng Zhen Qi Gong. Master Li Junfeng – Chi is Free ~ We Are A Big Body of Love. Master Li Junfeng – We Are One Family. Master Li Junfeng – What does Qi Gong Mean?